You are here: Home / How Do You Like Your Stake? / Latest News / How Do You Like Your Stake? Yet another item made in the largest US factory dedicated to concrete forming products. With 320,000 square feet of manufacturing in Bellwood, we’re making and shipping more products than ever. And that doesn’t include the capacity at the other SureBuilt locations in Tampa, Houston and Los Angeles. 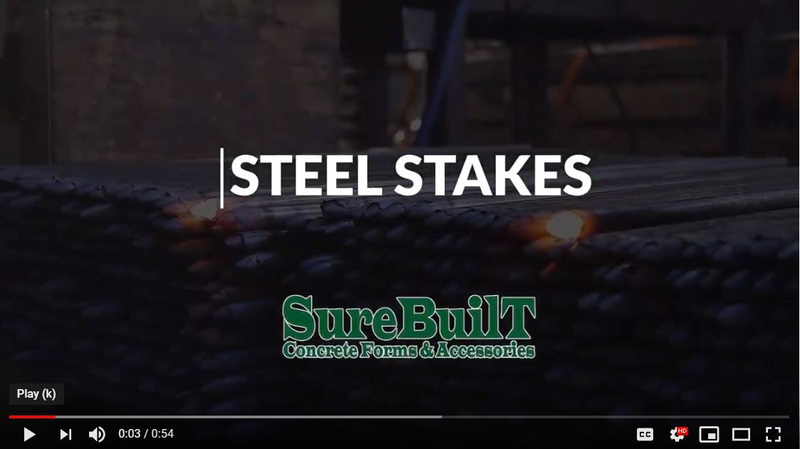 Watch the clip and see for yourself, then contact your SureBuilt rep for Steel Stake pricing and availability. https://surebuilt-usa.com/wp-content/uploads/2019/03/Steel-Stake-Skid-e1553020805740.jpg 2016 1512 Rob Kozaczka https://surebuilt-usa.com/wp-content/uploads/2019/01/concrete-accessories-forms.png Rob Kozaczka2019-03-19 13:38:122019-03-19 13:40:57How Do You Like Your Stake? Don’t Settle for a Tie…Go For The Win! A Real Gem!